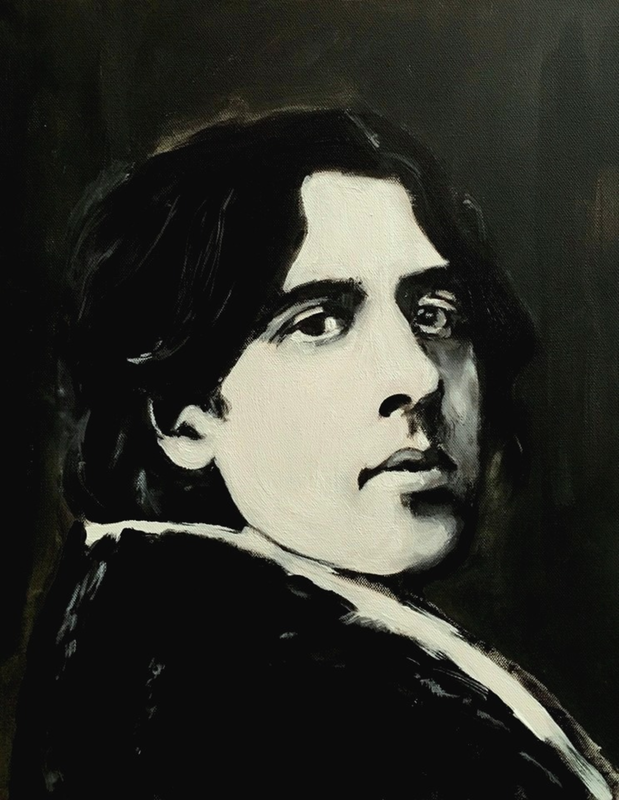 'De Profundis (a portrait of Oscar Wilde)' was inspired by a visit to the recent Artangel exhibition ‘Inside – Artists and Writers in Reading Prison’ where Oscar Wilde was imprisoned for two years with hard labour for committing “acts of gross indecency with other male persons”. It was an incredibly moving exhibition, and it was especially poignant to visit and sit for a while in his cell. The devastating experience of his time inside the prison resulted in his writing of 'De Profundis' and it also ultimately broke him. Three years after his release he died in Paris. This portrait is a tribute to his intelligence and humanity. Through his writing, Oscar Wilde used satire and wit to ridicule prevailing ideas of, amongst others, class, gender and the institution of marriage.